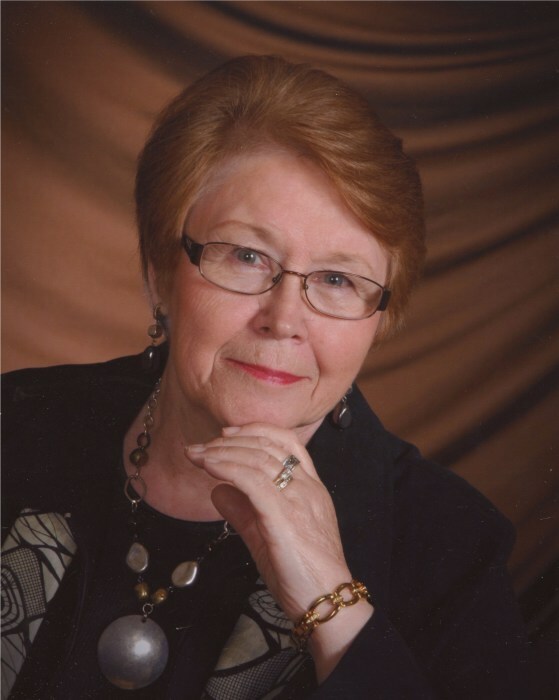 Sandra Heidecker, age 76, of Glenwood, MN, died Friday, February 8, 2019, at Glacial Ridge Hospital in Glenwood. Funeral services will be held on Wednesday, February 13th at 11:00 A.M. at Glenwood Lutheran Church, with Rev. Krista Lee officiating. Visitation will be one hour prior to the service. Interment will be in Glenwood Lutheran Cemetery. Arrangements are with Hoplin-Hitchcock Funeral Home of Glenwood. Sandra Lee Skarhus was born in Glenwood, Minnesota, on October 15, 1942 to Orville and Evelyn (Randall) Skarhus. Sandy grew up in Glenwood, residing with her grandparents, Gilbert and Elma Skarhus after the death of her mother, Evelyn, in 1953. Sandy was baptized at Glenwood Lutheran Church by Pastor David Quill with her grandparents Gilbert and Elma, also assuming the role of Godparents. Sandy attended school in Glenwood, graduating with the Glenwood High School Class of 1960. In the fall of that year, Sandy enrolled at the Minneapolis Business College in Minneapolis, where she met her future husband, Harlan Heidecker. The two were married on November 18, 1961 and shortly thereafter they moved back to Sandy’s hometown of Glenwood, where Harlan was employed at Gloege Chevrolet. Sandy and Harlan were blessed with a son, Blake, and a daughter, Lisa. The family resided in Glenwood until 1975, when they purchased a farm west of Glenwood. Over the years, Sandy was employed at the Callaghan and Nelson Law Office, the Federal Land Bank, Farm Credit Services, and Glenwood State Bank. She enjoyed her years of employment, helping people and meeting their needs. Sandy retired from Glenwood State Bank in 2007, the same year Harlan retired from Schweiters Chevrolet. Sandy and Harlan were always active at their church, Glenwood Lutheran, and in the Glenwood community. She served on many boards and committees through the years, including six years as secretary of the Pope County Fair Board, and as president of the Glenwood Area Chamber of Commerce in 2007. Harlan and Sandy also worked many years on various Waterama committees, both before and after Harlan served as Admiral in 1973. In 1994, Harlan became a member of the Masons Minnewaska Chapter #129 and at that same time, Sandy became a member of the Order of the Eastern Star. She was very active in the group right from the start, always holding an office and serving as Worthy Matron the first time in 2000. In 2013, Sandy was honored to be appointed Grand Chaplain for the Minnesota Grand Family of the Order of the Eastern Star. She and Harlan took pleasure in visiting various chapters throughout the State with the Grand Family. Sandy’s hobbies included reading, flower gardening, writing poetry, and canning. She enjoyed summers at their home on Lake Minnewaska, and she looked forward to winters at their home in Texas. Above all else, her very favorite thing was time spent with the “kids”. Sandy died on Friday, February 8, 2019, at Glacial Ridge Hospital, following a valiant 3 year battle with cancer. She will be greatly missed. She is survived by Harlan, her husband of 57 years; a son, Blake, his wife, Jaci, of Glenwood, and their daughters, Taryn, Hailey, and Mychaela Heidecker; a daughter, Lisa, and her husband, Michael Pelle of Elk River, and their sons, Gregory, and Joseph Pelle; two half-brothers, Jim Skarhus and his wife, Connie, of Rosemont, and Bob Skarhus and his wife, Sandy, of Minot, ND; as well as nieces, nephews, other relatives and many dear friends. Sandy was preceded in death by her parents, Evelyn and Orville Skarhus; a sister, Glenda Sims; paternal grandparents, Gilbert and Elma Skarhus; and maternal grandparents, John and Nellie Randall.